Consider for a moment how many marketing messages you take in each day and how few stick with you. Not so with great experiences. They’re tangible, shareable, evocative, lasting, and most effective as part of a well-connected strategy. This is why we specialize in integrated experiential marketing. Done right, it truly gives brands an unfair advantage. Case in point is Nike’s recent attempt to break the two-hour marathon. Talk about tangible, we didn’t even run the race and we’re still catching our breath. Nike promoted the race in advance with a sweeping digital and traditional media effort, including its highly popular Nike+ Running app. They invited an elite group of social influencers to the race and enabled millions of others to follow along by streaming live video and sharing social and in app updates. 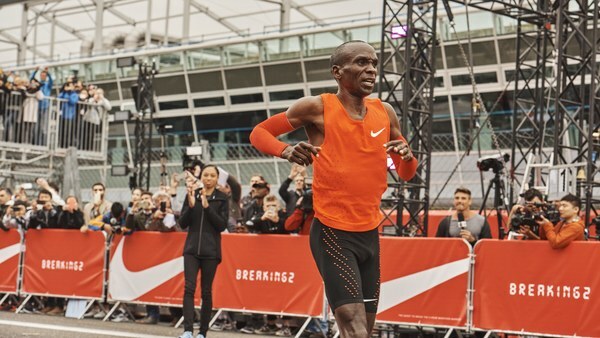 And of course, they followed up with the incredible albeit somewhat disappointing news that runner Eliud Kipchoge fell just 25 seconds short of the two-hour mark. Lasting (check – at least until Adidas gives it a go). Part of a well-connected strategy (check check check). “But wait! We don’t have a Nike-sized budget!” No problem. Big budgets don’t always equal big brand awareness. What does? Delivering real value to customers in one of three cost effective ways. Simply put: 1) educate, 2) entertain or 3) create a ‘wow’ experience. And before we completely leave the topic of marathons, we wanted to share this infographic on “Mompreneurship.” Kidding (kind of). Published in advance of Mother’s Day, but just after last week’s Round Up, it illustrates the realities we face and the sacrifices we make as moms and business owners. Hats off to all parents and caregivers, especially those balancing business and family. I’m sure we can all agree it’s worth every lost hour of sleep.